These superb Georgian style tankards are handmade in England by craftsmen using traditional techniques. They feature a fine quality polished silver plated finish on the body with polished silver plated rim and base. 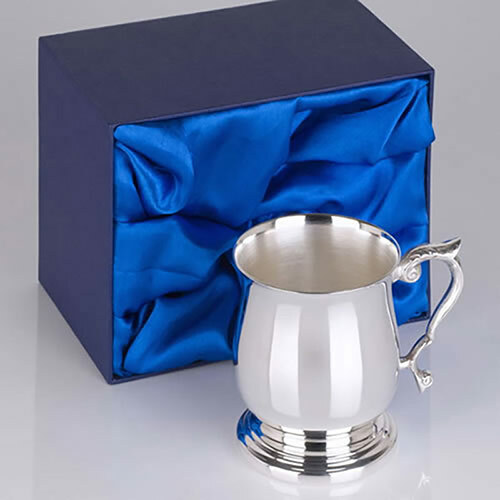 Each 1PT tankard is supplied complete with a luxury, fully lined presentation box. 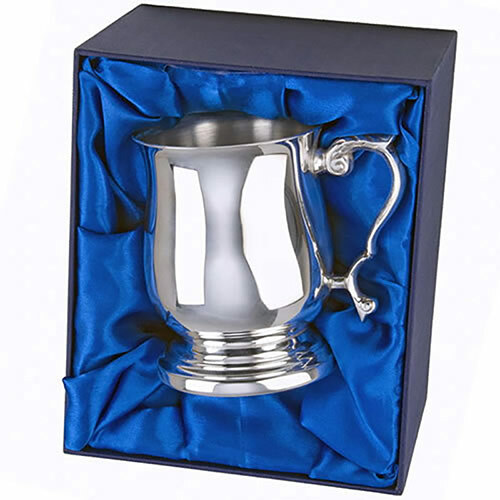 These silver tankards are ideal for engraving as corporate gifts or presentation awards and they are offered with free text and logo engraving. We also offer low, fixed price UK shipping.